Do you like collecting interesting videos on your computer? If you always download Instagram videos on PC, grab Youtube video online, and download Facebook private videos, then your computer may be flooded with lots of videos. So the best possible way to spare some free space in the device is to create the backup of videos and even other files. There are lots of different kinds of cloud storage available for users where they can create a free backup of their files. For example, Google Drive is offering almost 15GB of free space for a Gmail registered user. Tip: If you need more effects and filters for better video creation, you can use Jihosoft Video Converter which is committed to splitting/merging videos, trimming/cropping videos, and adding watermark/special effects to videos. But this storage space is not big enough to store all the files. Besides, the main limitation of using cloud storage services is that you need a stable internet connection to access any photo or video, which is annoying sometimes for users. In fact, there is a better choice for you to easily back up your photos and videos with some external devices instead such as flash drives, pen drives, and CD/DVD, etc. We strongly recommend you to conduct this task by burning a CD/DVD, because purchasing a CD/DVD will not require a lot of money and it is compatible to use as well. To accomplish such a task, you certainly need some best free DVD burning software! In this article, we will show you a hand-picked list of top 7 best DVD burning software for free downloading which will help you out in this issue for sure. So, have a quick look at all of them now. Tip: When it comes to video, we have to mention the TikTok app which is recently popular all around the world! If you are fascinated by some of those TikTok videos, you can just download TikTok videos online. If you are an iPhone user, you’d better refer to the top 3 ways to download TikTok videos on iPhone. BurnAware Free is probably the best free DVD maker available for users on this list. This software is open-source, which simply means that any user can use this software for its personal use. The lite and clean graphical user interface of this software is what makes every user be attracted towards it very much. 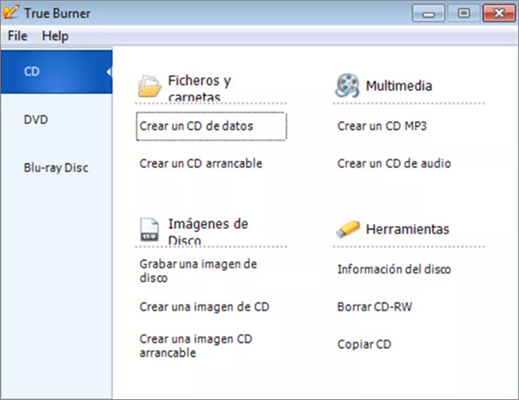 You can create the backup of various types of CD/DVD like audio CDs, video disks, MP3 discs, etc. 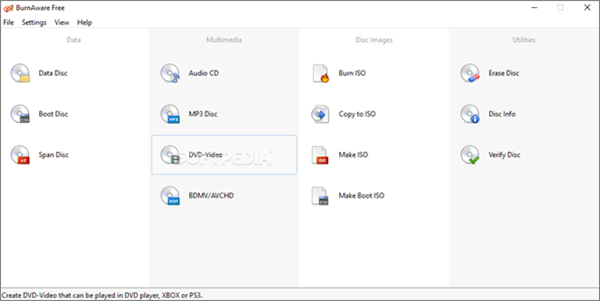 This free DVD burning software can support the Windows 10 system. You will find the option of creating the backup on the very first window of this software. You just need to insert the DVD in the disc tray of your PC to get it started to create the backup. You can easily install this best free DVD burning software through the use of URL which we have provided above. You need to download the installer package of this software so as to install it then. There is no need for registration. You can easily skip the sign-up process and then use this software hassle free. That’s why BurnAware Free is our first pick on this list of free DVD burning software. This DVD burning software for free downloading is another very good option because unlike the BurnAware Free software, AnyBurn offers a lot of features just like it offers a lot of option to burn the DVD/CD. Moreover, this software is pretty much easy and compatible to use for every user. That’s why you will find the popularity of this software pretty much high among users. 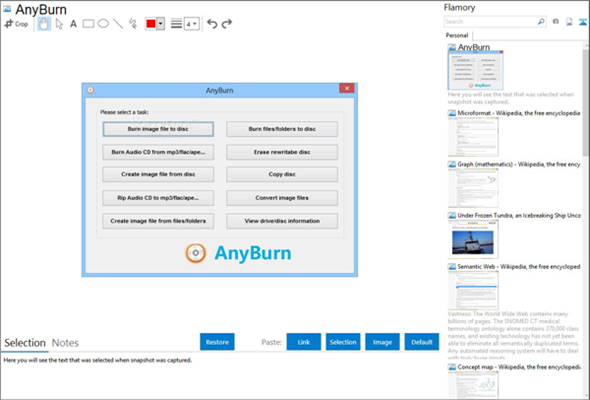 AnyBurn is a kind of free DVD maker which is used for a variety of purposes like editing images, converting image files and much more. This program will not take much space of your device or PC after the installation process. That’s why it is quite worthy for you to use such kind of DVD burning software. You will surely find it the best one on this list. 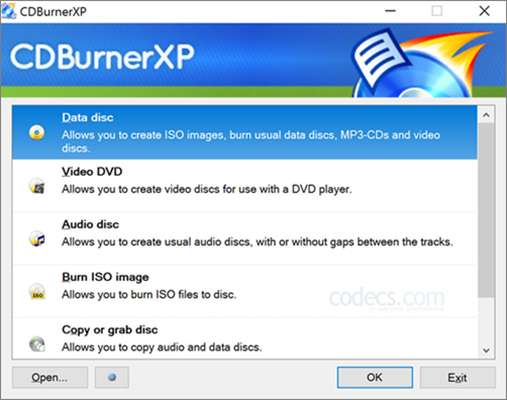 Unlike the other two DVD burning software which we have listed so far, CDBurnerXP takes a lot of space in the hard drive of your PC because the graphical user interface of this software is pretty much appealing. And the best thing about CDBurnerXP is that it has been upgraded to an free DVD burning software for the latest Windows 10 operating system. You can also erase the data present on the disc by selecting the “Erase Disc” option. 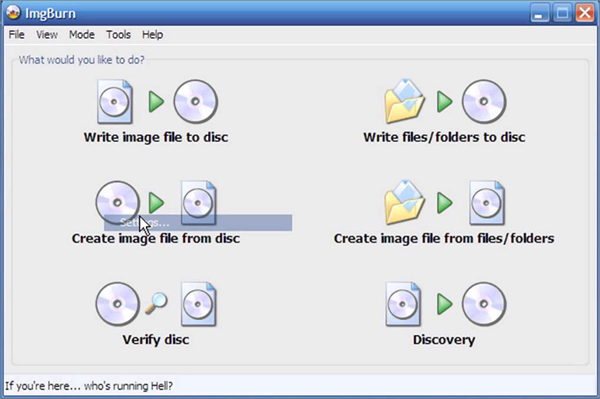 Users like this software most because it can help them out in both creating and erasing the DVD. This best free DVD burning software is mostly used by the users who have installed Windows XP on their PC though it can also be used in other versions of Windows as well. You can check the compatibility of this software on its official website or by installing it on your device. As one of the best possible substitutes for BurnAware Free, CDBurnerXP is another very good option for users present on this list. InfraRecorder is another very fantastic DVD burning software present on this list for users to download free because this software is also developed to meet the multiple needs of users. You can write/rewrite, create/erase the data present on DVD very easily through the use of this brilliant software. Although this software is not compatible with the HD-DVD and Blu-ray discs, most of the discs will be covered under this software very soon. The developers are working hard to achieve their target. InfraRecorder is a free DVD maker which doesn’t require much space on hard drives after the installation. Another thing we want to add here is that the InfraRecorder software doesn’t have any kind of malware or spyware in it. That’s why it’s not necessary for you to worry about its using safety. When you look for the best DVD burning software for free, then DVDStyler is another very brilliant option for you. Built with so many new and incredible features, DVDStyler is a kind of software which is used by thousands of users on a daily basis. Unlike other software, DVDStyler will create the backup in the DVD/CD within seconds and most importantly, this software is really very easy to use because of the lite and clean graphical user interface. The developers of this software have made this software so well that any user can easily use this software. The presence of user manual guide is another positive thing of DVDStyler. This software is not so popular, but if you ask us, then we will give 9 out of 10 rating to DVDStyler. ImgBurn is up there as another very good kind of software which can run multiple tasks one time. After you download this free DVD burning software, it will surely help you back up the individual files and full folders with ease. The user interface of this website seems to be a little outdated, but it will not become an issue for you. We are assuring that you will be able to use this software very easily. Due to the outdated user interface and little bugs, this software doesn’t deserve high ratings and that’s why we will give 5 out of 10 ratings to ImgBurn. This software is our last pick on this list and we are glad to tell you that True Burner is a fantastic option as like other software. As a practical and free DVD maker, this software has been serving its users for a very long time and most of the users who have used this freeware are giving a positive response to it. Burning DVD or creating image files on DVD is never a difficult task for users with the help of this software. This free DVD burning software is compatible with Windows 10/8/7/Vista/XP. The easy-to-use user interface of this software is what we like most about it. That’s why we also recommend our users to use this DVD burning software for their personal use. Due to the complexity in memory management, it becomes important to save all your past memories by creating the backup in an external drive. And burning files in a DVD is the most effective way in which you can store all your data conveniently and cheaply. Having read this article, you can share this list of the best 7 DVD burning software for free downloading with others who may be in need exactly. And we will surely update this list for you if we find some of your suggestions appropriate. How to Make A TikTok Duet Video on Android and iPhone? How to Download TikTok Videos Online Free on iPhone?